We continue our Trek down memory lane with a review of Star Trek II: The Wrath of Khan! From the new uniforms, to the Kobayashi Maru, Eugenics wars, and space battles, we talk about everything we love about the classic Khan revenge flick, along with a few spots the film slipped up. It's true. It's not quite the perfect film but we'll talk about that. How do you feel about The Wrath of Khan? Where does it rank on your Star Trek movie list? Comment below or hit us up ... See More @HeroesPodcasts on Twitter or Facebook! 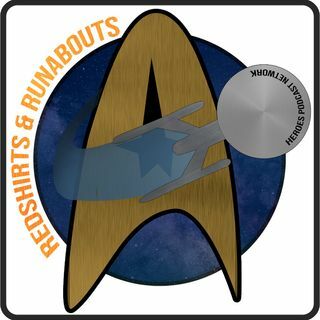 Don’t forget to subscribe to Redshirts & Runabouts! The links to iTunes and Blog Talk Radio are below!